When you think about it, your online reputation is probably even more important than your offline reputation. Why? The answer is simple: we live online. Know someone who recently tried a new restaurant? Or purchased a new car? We’re willing to bet they talked about it online. Perhaps they checked into the restaurant on Facebook, or rated the car dealership on Yelp. This is not only common, but the new norm. Within seconds, we have the power to leave a review, rate a business or tweet about our experiences both good and bad. Think this doesn’t extend to healthcare? Think again. Because patients are now more engaged and informed when it comes to their care, you better believe they are talking to their network asking for referrals, reading online reviews, and likewise recommending or endorsing physicians or healthcare organizations they had a positive experience with. So how can you manage your online reputation? What platforms are your patients using to review you? How can you tactfully and ethically ask your patients to leave you a positive review? We’ve got answers! Reputation management online is a process. But when done right, you do have the ability to influence what shows up when a patient Googles you. To start, check out these platforms. There’s a good chance that your patients have utilized one or more of these sites; so don’t miss out on the opportunity to engage! So how can you encourage patients to leave you a review? Here are some tactics that can help. Share positive reviews on your other social media channels, such as Facebook, on Twitter, your website, and so on. Whether you engage or not, online conversations will still take place. We want your healthcare practice to succeed online, which is why we recommend hiring a reputation management expert, or tasking someone internally to do this. Monitoring what people are saying about you may seem overwhelming, but the good news is there are several free or low cost tools that can help! Google Alerts. Think of Google Alerts like a customized Google search that will notify you when your organization (or whatever keywords you choose) is mentioned. This free tool scans and pulls information from websites, blogs and articles, and delivers them right to your inbox. Yext. Yext is great to use if you want to manage your online listings and review sites to make sure the information shared is accurate. This service can also help you build local brand awareness and drive more online traffic. Hootsuite. Looking for a tool to manage all of your social media platforms in one place? Than look no further than Hootsuite. In Hootsuite you can schedule posts, listen and engage with your followers and review your social media analytics. We’ve given you a comprehensive online reputation management to-do list; now let’s quickly discuss what not to do. Offer bribes or money for reviews. Not only is this unethical, but it also produces unauthentic reviews. Have your internal staff leave false reviews. Imagine the possible fallout and repercussions if this came to light. Not good! 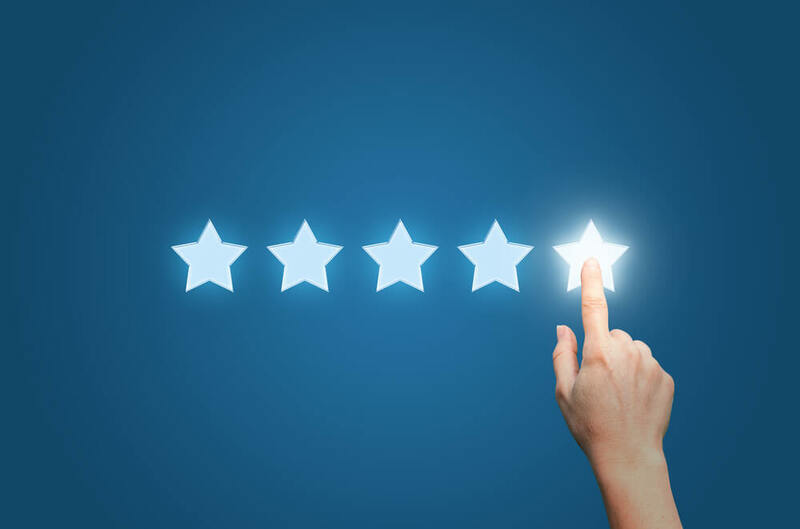 Demand your patients leave a review. It’s okay to ask for reviews and invite your patients to leave feedback, but don’t force anyone to do this. What grade would you give your online reputation? Need some help in this area? Contact one of our healthcare marketing experts; we can help! Or, to learn more about running a focused inbound campaign for your healthcare organization, download this free guide.